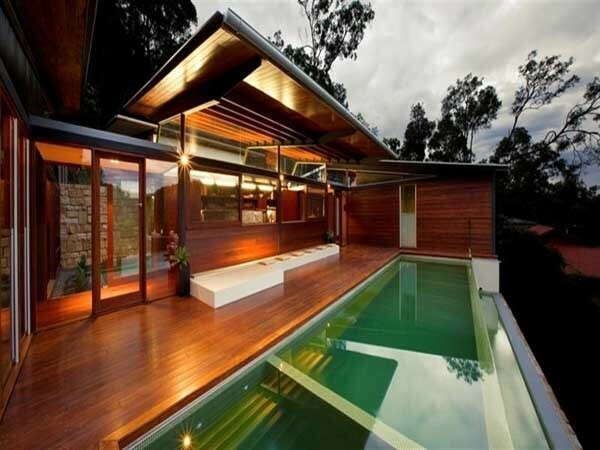 One of the highest rated episodes of the Grand Designs Australia series featured a dream house built by successful Australian DJ/ entrepreneur, Drew Muirhead in the idyllic and leafy settings of Cottage Point in Sydney. Series 1, Episode 8 of Grand Designs Australia documented the journey of Drew Muirhead who was building a dream house on the largest waterfront block of land in Cottage Point. Designed by Richard Cole Architecture and engineered by Barrenjoey Consulting Engineers, the Balinese resort-style mansion featured pavilions, an infinity pool, five bedrooms, four bathrooms, a steam room and even its own nightclub. The difficult access and steep sloping block presented challenges to the construction. The ZEGO FireFORM building system was, therefore, chosen for its ease of material handling and speed of construction along with its versatility and fire rating. Approximately 650 square metres of ZEGO insulated concrete form walls were installed by ZEGO Installers, Conty Constructions in only one week.